James Wolf on keeping a "pot on every burner". James Wolf was late for our interview — two and a half hours late, to be exact. I’d speed walked the fifteen minutes from my apartment to his shop in Ho Chi Minh City’s expat hub, Thao Dien, at 8:30 in the morning, only to be met with a shuttered door and no signs of life inside. Sweating in the shade as loitering taxi drivers threw me curious looks, I called him up. Now, anyone who knows me knows that that’s not my usual attitude to a founder forgetting an interview. I mean, I’ve been known to be spiteful about even rescheduled Skype calls, but there’s something about Wolf that makes him awfully hard to be angry with, even as you stand sweating in the Saigon morning heat. And when we finally did catch up, a couple of hours later, it was clear that the charm and charisma that smoothed over my annoyance is the exact thing that has guided him to where he is today, successfully juggling three related — but very separate — businesses. But sometimes, it’s brilliant. And that brilliance shines through in each of his businesses, which range from a hyper-local neighborhood bike shop to a bamboo factory that serves an international market interested in sustainable design. James Wolf is a classic “pot on every burner” entrepreneur. We met when I wandered into one of his businesses, The Bike Shop, in search of something basic that I could tool around the neighborhood on. I’d recently moved into Saigon’s relatively calm district of Thao Dien, known for housing foreign schools as well as the wealthy foreign families (and much less wealthy young English teachers) who keep them running. While the central districts of Saigon are hectic beyond anything you’ll ever see in an American city — picture motorbikes packed with entire families, ten deep at rush hour — Thao Dien is a weird suburb populated by Vietnamese McMansions and high rises that more closely resembles, say, wealthier parts of Queens. Point being — you can actually ride a bike on the streets and not fear for your life. 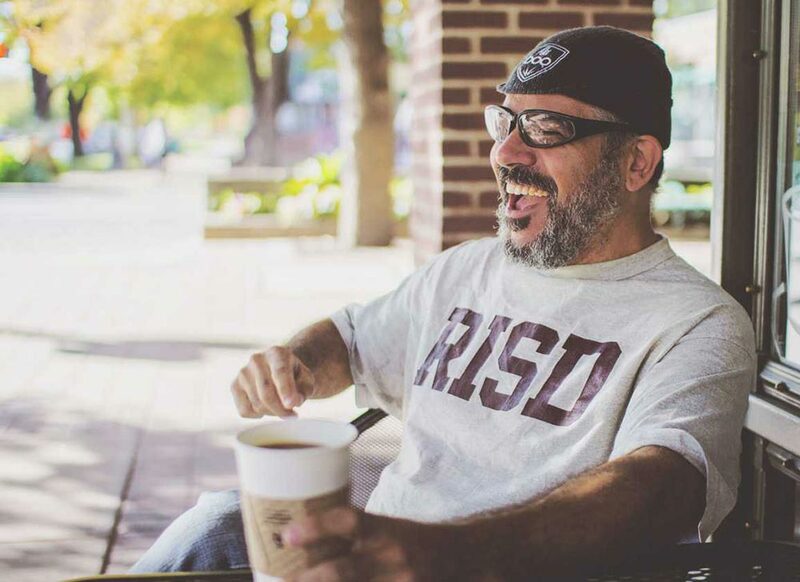 Wolf started The Bike Shop after pressure from friends pointing out that it was a much-needed business for the neighborhood. Ultimately, he told me, it’s more about meeting a neighborhood need and not so much about making any real money. It was Wolf’s work in furniture design that turned him to bamboo as a sustainable solution and brought him to Vietnam twenty years ago. He made connections with local factories and plantations before starting his own bamboo plantation and factory — the very same one he’d called me from that morning when he was supposed to be meeting at the Shop. The problem, it turns out, is that they tend to be short-staffed around the Vietnamese New Year, Tet, when pretty much all of Saigon’s Vietnamese population heads back to the countryside to be with family and welcome in the new year. As a result, Wolf and his wife — who he met a decade ago when they both were in the furniture business — sometimes have to fill in for missing security guards at the factory. That morning ended up being one of those short-staffed mornings and so Wolf hopped on his bike and raced out to factory to do his duty. Wolf’s bamboo operation today is completely vertically-integrated, from seed to sectional couch. (Or furniture or playground or anything other home and garden decor people can imagine in bamboo.) He controls everything from how the bamboo is grown to how it’s harvested to which wood is used to the final product that gets shipped back to businesses in the States. The only part of the process that Wolf doesn’t have a hand in is selling directly to the customer — and keeping it B2B is a conscious choice. In the factory, those people are his wife and the businesses they partner with. In The Bike Shop, Wolf has a team of in-house staff as well as two partners who ensure that the roof stays over their heads, the bikes keep selling, and the customers are satisfied. And with his third company, Boo Bicycles, his team is international and includes his pro-racer business partner, a PR guy, and some recent investors. Boo is a high end bike company unlike any you’ve seen before. While bamboo often has the reputation of being a cheap material, Wolf explained to me that there’s actually more than 2,000 types of bamboo in the world and that the one they grow is the strongest in existence. So strong, in fact, that tests have shown it to be stronger in weight than steel. 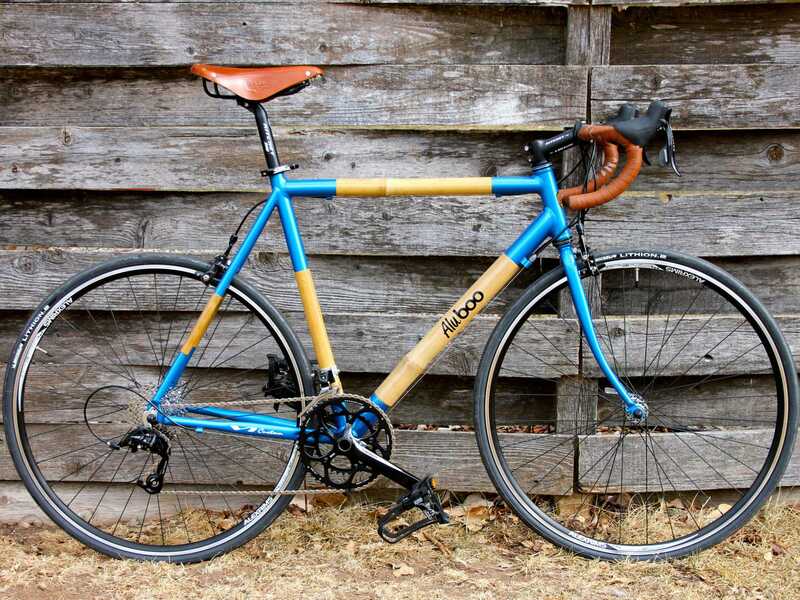 Wolf started messing around with bamboo bike designs when he realized that his love of bikes could be combined with his love of bamboo, but it wasn’t until his business partner, pro-racer Nick Frey, won the 2009 Vuelta Miami on a Boo that he realized it was time to get serious. Since then, Boo bicycles have become the steed of choice for multiple pro-race winners. Wolf credits the “highly vibration damping” nature of the material, which provides a higher level of comfort for those long, tough races. When he talks about Boo, it’s immediately evident that of the three businesses, this one is his baby. Most Boo bikes are custom made for serious bikers, which means they come with a hefty price tag. However, once their brand started picking up steam, Wolf and his partners heard from more and more folks who loved the stability and high quality of a Boo, but just couldn’t shell out the big bucks. They listened to those voices and launched a sub-brand, Aloo Boo, via a successful Kickstarter campaign. Aloo Boo bikes have the same bamboo frames as Boo bikes but are produced in batches of small, medium, and large instead of being custom made. The ability to produce a few hundred at a time rather than making each individual bike to each individual rider’s specifications means that Aloo Boo comes in at a significantly lower price point than a custom Boo bike. Wolf was worried at first that the non-custom bikes would lower the value of the Boo brand, but it seems to have had the opposite effect. In fact, Aloo Boo was so successful that Wolf and his team actually took on investors to help them expand — and this year they’re on track to be profitable. So what’s the biggest problem for a successful entrepreneur running three businesses? So Wolf is keeping all of those pots on all of the burners, for the time being at least. And if sometimes that means forgetting about an interview or trying to be in three places at once? Well, like I said: He’s got the charisma for it. See part two of our James Wolf interview here.